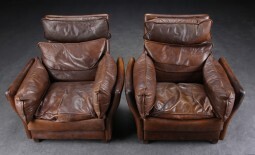 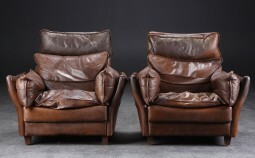 A pair of leather armchairs with feather filled cushions - fantastic colour and patination. I believe they are Italian. 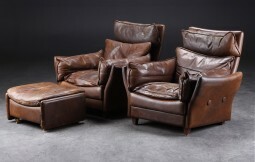 95 cm wide, 90 cm deep and 86 cm high, 36 cm at the seat.